What a wonderful, superb, fun Charity Ball we had last Saturday ! Hope you all had a great time and this party wouldn’t be as successful without all of your ardent support to digging deep into your pockets for ball tickets, corsage, Caipirinha cocktail, raffles, wine & champagne Also, a huge thank you from Ball Chair and Ball Committee to your friends and families who attended and also generously supported all the charity sales. – All our Rotarians came ( even Maeder and David who came back from China and Brunei specially for this ) and bring friends except those who were out of town . Heard small complaint that we should print more next year !!! Fantastic performances from our Rotary family: PP Filipe , our professional DJ: PP Ip’s Son ‘Tacho’ band and of course, our new dream MC team Elvo and Aris .. Bravo , Gracias. Many thanks to PP David as he has already uploaded our Ball photos onto the photo gallery on our club website. 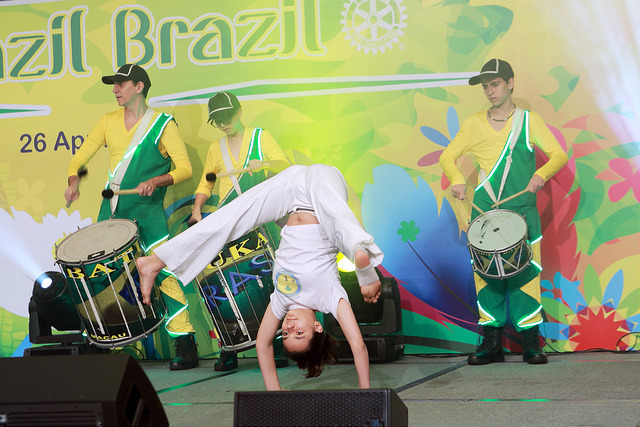 Pls visit www.rotary3450.org/macau, click on our Ball icon and it will link you to the photo album. I am still trying to upload more in stages. Enjoy first. – This week’s Club Meeting ( Thurs May 1 ) is cancelled due to Labour Day Holiday. Will see you next Thurs ( May 8 ) at Venetian when we have AG Florence making her last visit to our Club before we end 1314 Rotary Year She will share with us some update on our District China development .